- Fix a typo in the previous release that caused dynamically updated metadata source plugins to stop working. - Amazon metadata download: Fix spurious results when searching for books that are not present on amazon using a search engine. - Get Books: Fix free samples being detected as independent books when searching OPDS based stores such as Feedbooks. - Edit Book: Spell Check dialog: Always add the original word as one of the spelling corrections, so that small edits to the word can be made easily. 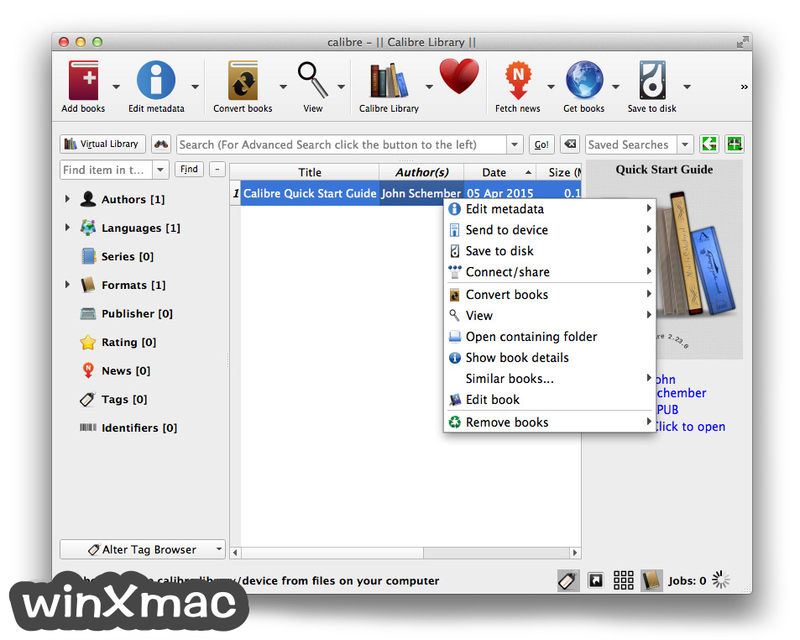 - Edit Book: Saved searched Dialog: Allow re-arranging the saved searches using drag and drop. - Implement auto update of builtin metadata download plugins, just as for recipes and Get Books plugins. Needed as the websites they get data from often change. - TXT Input: When detecting the encoding of txt files only use the first four kilobytes of text. Fixes excessively slow conversion of very large text files. - E-book viewer: Fix slow startup when recently opened files are on a slow/malfunctioning networked filesystem. - News download: Fix a bug that could cause a crash when downloading an SVG image. 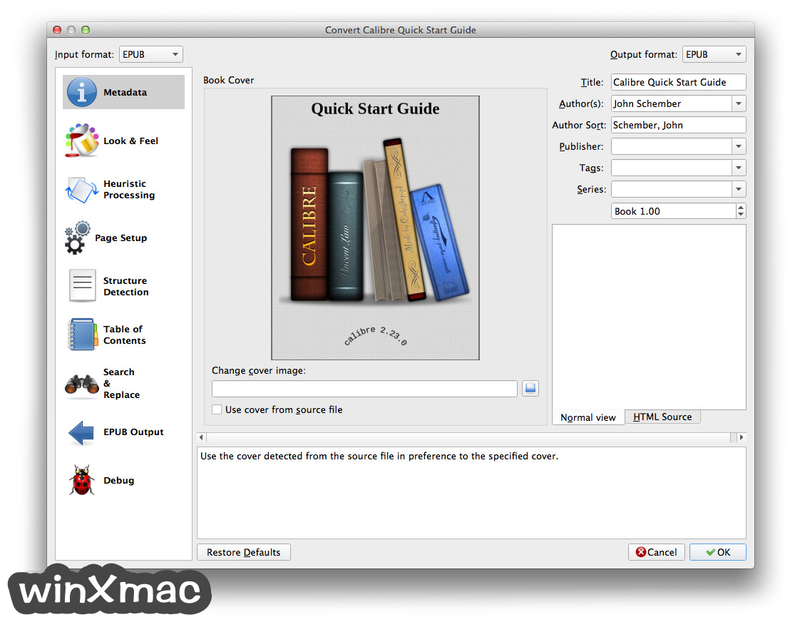 - Edit book: Allow drag and drop of image files, stylesheets and html files into the editor to insert the appropriate and tags and add the files to the book automatically. - Conversion: Fix changing the cover image not updating references to the old cover image inside SVG wrappers. - DOCX Output: Fix missing tag causing conversion to fail. - Edit Book: Fix Check Book reporting a spurious mime/type mismatch error after replacing a file with a file having a different mime type. 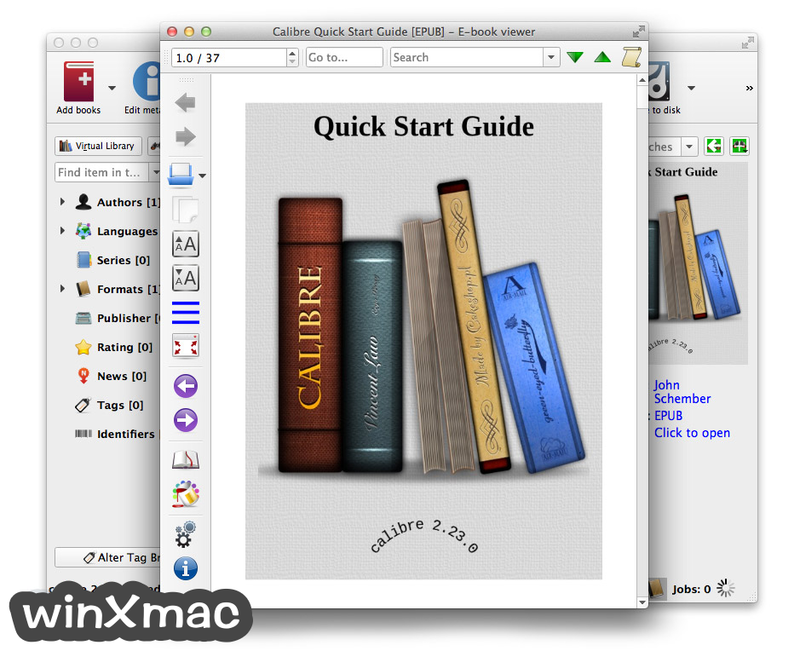 - Edit Book: Ensure keyboard focus stays with Files Browser when renaming files. - E-book viewer: Fix a regression in the previous release that broke the viewer on systems where the temporary directory is a symlink (common on OSX). - PDF Output: Fix conversion failure when input document contains first page with no renderable content. - Editor: Fix incorrect handling of some regular expressions in the Search tool. - Fix a crash when running with assertions turned on in Qt. - Edit Book: Reports tool: Fix an error when right clicking on items in the Links view. - Allow using amazon_in, amazon_au, amazon_com identifiers in the Book details panel. - Edit Book: Fix the 'Search ignoring markup tool' not ignoring comments/processing instructions, etc. - Edit Book: Spell Check dialog: Various small usability enhancements -- preserve position in word list on refresh, ensure that new current word is highlighted after changing a word, etc. 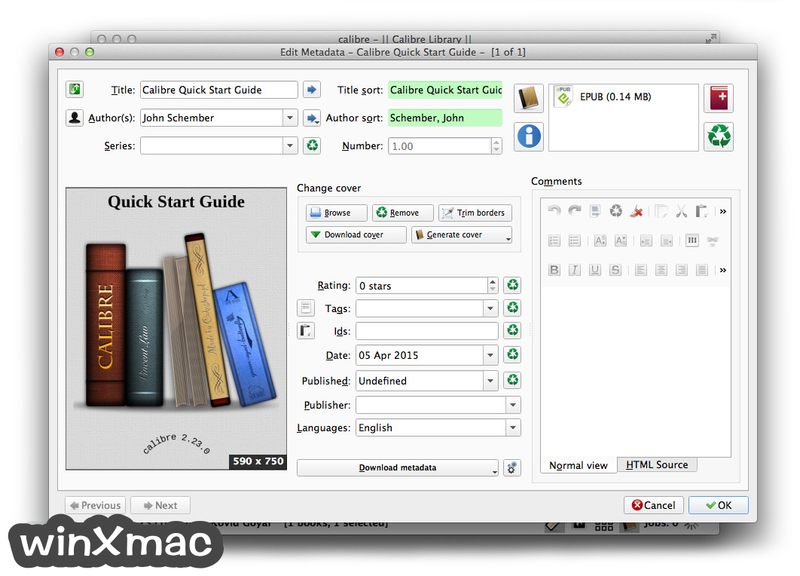 - Edit Book: Add a tool to download external resources (images/stylesheets/etc.) that are not included in the book. - Conversion: Fix incorrect resolution of references to resources in HTML files that exist in a folder level above the OPF file. This could lead to styles being incorrectly processed in such HTML files.